Fraser & Neave Holdings Bhd (F&NHB) is amongst the region’s oldest and most established food and beverage companies with its brands enjoying the distinction of being a market leader and household name in many categories. Listed on Bursa Malaysia’s Main Board, the Group has an annual turnover in excess of RM 4 billion from its core business in the manufacture, sale and marketing of beverages and dairy products. Our business operation is organised according to products and services, namely Food & Beverages Malaysia (F&B Malaysia) which encompass both Soft Drinks and Dairies Malaysia business; Food and Beverages Thailand (F&B Thailand); and Property and others. F&NHB operates in Malaysia, Brunei, Thailand and Indochina, and is a subsidiary of Fraser and Neave, Limited, a company listed on the Singapore Stock Exchange. The diversity of our product range and geographical operations, the strong distribution network and market resilience built over a century of experience, and the commitment of our 2,700-strong workforce are what distinguish F&N in delivering sustainable performance and growth, in harmony with the well-being of communities and the environment, to meet our consumer’s present and future expectations. 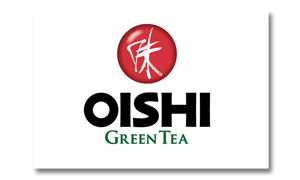 To become the leading total beverage company in Malaysia and the region. To provide superior returns to our shareholders, excellent value for our customers and a rewarding career for our employees. At F&NHB, we believe in building long-term values for our stakeholders. Founded by John Fraser and David Chalmers Neave in 1883, from whom our instantly recognisable initials ‘F&N’ are derived, the F&N brand is today synonymous with high quality and halal-compliant product that is trusted by generations. F&N is one of the largest beverage manufacturers and distributors in the region with leading brands such as 100PLUS, F&N Fun Flavours, F&N SEASONS, F&N NutriSoy, F&N ICE MOUNTAIN, OYOSHI, Rangers and EST Cola. Deeply entwined into the nation’s fabric, F&N beverages have been a part of almost every celebration and occasion, creating enjoyment and treasured memories over the last century. 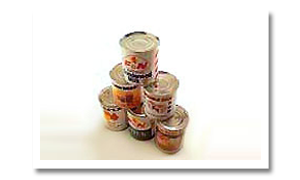 F&N is also the undisputed leader in the Sweetened Condensed Milk and Evaporated Milk market in Malaysia and Thailand. Millions of consumers from all walks of life enjoy their daily treasured moments with a cup of milk tea (teh tarik) or coffee, cakes or confectionery made with F&N’s broad range of dairy products under the F&N, TEAPOT, CARNATION®, Cap Junjung® and IDEAL® brands, as well as liquid milk and juice products under F&N Magnolia, FARMHOUSE and F&N Fruit Tree Fresh brands. Our product is exported to more than 68 countries across the globe and we will continue to extend the breadth and depth of our export footprint while focusing intently on halal markets leveraging our halal hub accreditation. Our products have satisfied the tastes and appetites of generations and we will continue to deepen the connection with our consumers and offer excitement and enjoyment in tandem with our promise of ‘Pure Enjoyment, Pure Goodness’. F&NHB has 8 manufacturing facilities in Malaysia and Thailand serving the needs of consumers in the regions. Our state-of-the-art plants utilise the latest manufacturing technologies to meet the highest standards of food safety and efficiencies in the production of its various products, with strict quality control measures undertaken at each step of the manufacturing processes. As fully-integrated green plants, the facilities also incorporate cutting-edge green technology with water, energy and environmental conservation processes, in line with F&N’s sustainable business approach. As part of our best-in-class manufacturing practices, all facilities are certified with ISO 14001 for environmental management standards, ISO 22000:2005 for food safety management in addition to the GMP (Good Manufacturing Practice) and HACCP (Hazard Analysis Critical Control Point) certificates. Our plants are also recognized with numerous awards for exceptional product quality, productivity and energy management. 135 years ago, two visionaries, John Fraser & David Chalmers Neave formed The Singapore and Straits Aerated Water Company to produce carbonated soft drinks. This company eventually became one of the region’s food and beverage giants, Fraser & Neave (F&N). Today, the F&N Group is among the oldest, most recognised and most successful businesses in Singapore and Malaysia with core expertise and leadership in the Food & Beverage, Property and Publishing & Printing sectors. The Singapore and Straits Aerated Water Company was founded. The Singapore and Straits Aerated Water Company went public under its present name, Fraser and Neave, Limited on 27 January 1898. 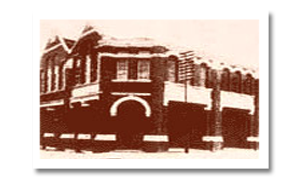 F&N had branches across the peninsula, including Kuala Lumpur, Malacca, Seremban, Ipoh and Penang. F&N began overseas expansion and set up branches in Bangkok and Saigon. Fraser and Neave, Limited formed Malayan Breweries Limited in a joint venture with Heineken of Holland. The result of this joint venture was Tiger Beer. F&N acquired the franchise rights to Coca-Cola drinks. F&N entered into a joint venture with Beatrice Foods of Chicago, USA, to manufacture Sweetened Condensed Milk. Carnation International of Los Angeles joined Beatrice Food and F&N to form a manufacturing company, Premier Milk (Malaya) Sdn Bhd in Kuala Lumpur. 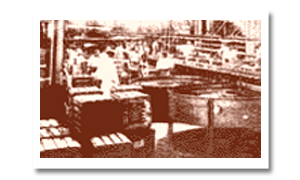 The first F&N soft drinks factory in East Malaysia was also opened in Kuching. F&N commenced its Ice Cream business. F&N celebrated its 100th anniversary and introduced the iconic 100PLUS. F&N introduced SEASONS ’s range of beverages. 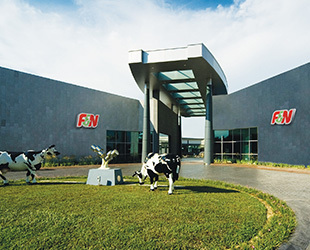 F&N acquired the interests of Beatrice Foods and restructured its dairy operations under F&N Dairies (Malaysia) Sdn Bhd. JV signed between Fraser and Neave, Limited and The CocaCola Company (TCCC), which saw the birth of F&N Coca-Cola Pte. Ltd.
Soft drinks plant relocate to Shah Alam on 23 March 1996. The Group’s glass, dairies and soft drinks operation in Malaysia were incorporated under the umbrella of Fraser & Neave Holdings Bhd and listed on Bursa. F&N Dairies commenced its Pasteurised Milk and Juice business. F&N acquired the Borneo brand of Mineral Water business in East Malaysia. 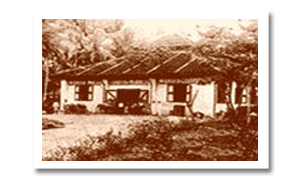 F&N Dairies (Thailand) Limited was established. Acquired Tea Pot brand and Nestle’s milk business in Malaysia, Thailand and Singapore. 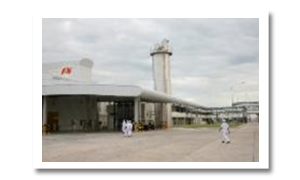 F&N Dairies (Thailand) Limited’s plant in Rojana commenced operations. F&N Beverages Marketing is formed. Red Bull joined the product line-up. Construction of F&N Dairies manufacturing plant in Pulau Indah began. End of licensing arrangement with The Coca-Cola Company in Malaysia, Singapore and Brunei. Acquired 27.19% stake in Cocoaland. F&N Dairies manufacturing plant in Petaling Jaya ceased operations after 52 year. Dairies plant in Pulau Indah commenced operations. The official opening of the F&N Dairies manufacturing plant in Pulau Indah. F&N renewed licences with Nestle until 2037. F&N introduced est Cola, Coco Life and Ranger in Malaysia. End of licencing agreement with Red Bull. The Group embarked on an organisational exercise to align the operations. F&N launches the first-of-its kind UHT Processing Line in its Kuching plant. 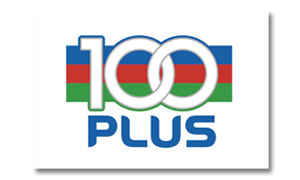 100PLUS is the proud sponsor of KL2017. At F&NHB we have a strong leadership to ensure efficient and effective business processes, allowing us to make quick decisions and ensures we are able to execute our strategy and provide exceptional services to our consumers and customers. Y.A.M. 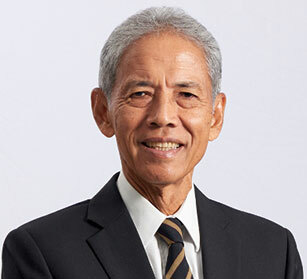 Tengku Syed Badarudin Jamalullail does not have any family relationship with any director and/or major shareholder of the Company, nor any personal interest in any business arrangement involving the Company save and except that he is an Independent Non-Executive Director of FNL, a major shareholder of the Company. He has had no conviction for offences within the past five years and has had no public sanction or penalty imposed by the relevant regulatory bodies during the financial year, which require disclosure pursuant to the Main Market Listing Requirements of Bursa Malaysia Securities Berhad. Mr. Lee Meng Tat does not have any family relationship with any director and/or major shareholder of the Company, nor any personal interest in any business arrangement involving the Company save and except that he is a nominee director of FNL, a major shareholder of the Company. He has had no conviction for offences within the past five years and has had no public sanction or penalty imposed by the relevant regulatory bodies during the financial year, which require disclosure pursuant to the Main Market Listing Requirements of Bursa Malaysia Securities Berhad. Mr. David Siew Kah Toong does not have any family relationship with any director and/or major shareholder of the Company, nor any personal interest in any business arrangement involving the Company. He has had no conviction for offences within the past five years and has had no public sanction or penalty imposed by the relevant regulatory bodies during the financial year, which require disclosure pursuant to the Main Market Listing Requirements of Bursa Malaysia Securities Berhad. Mr. Lee Kong Yip does not have any family relationship with any director and/or major shareholder of the Company, nor any personal interest in any business arrangement involving the Company save and except that he is a nominee director of FNL, a major shareholder of the Company. He has had no conviction for offences within the past five years and has had no public sanction or penalty imposed by the relevant regulatory bodies during the financial year, which require disclosure pursuant to the Main Market Listing Requirements of Bursa Malaysia Securities Berhad. Dato’ Johan Tazrin bin Hamid Ngo does not have any family relationship with any director and/or major shareholder of the Company, nor any personal interest in any business arrangement involving the Company. He has had no conviction for offences within the past five years and has had no public sanction or penalty imposed by the relevant regulatory bodies during the financial year, which require disclosure pursuant to the Main Market Listing Requirements of Bursa Malaysia Securities Berhad. Dato’ Jorgen Bornhoft does not have any family relationship with any director and/or major shareholder of the Company, nor any personal interest in any business arrangement involving the Company save and except that he is a nominee director of FNL, a major shareholder of the Company. He has had no conviction for offences within the past five years and has had no public sanction or penalty imposed by the relevant regulatory bodies during the financial year, which require disclosure pursuant to the Main Market Listing Requirements of Bursa Malaysia Securities Berhad. Mr. Hui Choon Kit does not have any family relationship with any director and/or major shareholder of the Company, nor any personal interest in any business arrangement involving the Company save and except that he is a nominee director of FNL, a major shareholder of the Company. He has had no conviction for offences within the past five years and has had no public sanction or penalty imposed by the relevant regulatory bodies during the financial year, which require disclosure pursuant to the Main Market Listing Requirements of Bursa Malaysia Securities Berhad. Puan Aida binti Md Daud does not have any family relationship with any director and/or major shareholder of the Company, nor any personal interest in any business arrangement involving the Company save and except that she was a nominee director of PNB, a substantial shareholder of the Company during the financial year, prior to her re-designation as an Independent Non-Executive Director of the Company effective from 10 December 2018 following her cessation as a nominee director of PNB. Following her re-designation, she continues to serve on the Board of the Company in her personal capacity. She has had no conviction for offences within the past five years and has had no public sanction or penalty imposed by the relevant regulatory bodies during the financial year, which require disclosure pursuant to the Main Market Listing Requirements of Bursa Malaysia Securities Berhad. 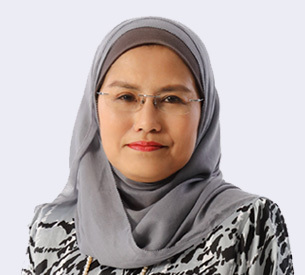 Puan Faridah binti Abdul Kadir does not have any family relationship with any director and/or major shareholder of the Company, nor any personal interest in any business arrangement involving the Company. She has had no conviction for offences within the past five years and has had no public sanction or penalty imposed by the relevant regulatory bodies during the financial year, which require disclosure pursuant to the Main Market Listing Requirements of Bursa Malaysia Securities Berhad. Datuk Mohd Anwar bin Yahya does not have any family relationship with any director and/or major shareholder of the Company, nor any personal interest in any business arrangement involving the Company. He has had no conviction for offences within the past five years and has had no public sanction or penalty imposed by the relevant regulatory bodies during the financial year, which require disclosure pursuant to the Main Market Listing Requirements of Bursa Malaysia Securities Berhad. Datuk Kamaruddin bin Taib does not have any family relationship with any director and/or major shareholder of the Company, nor any personal interest in any business arrangement involving the Company. He has had no conviction for offences within the past five years and has had no public sanction or penalty imposed by the relevant regulatory bodies during the financial year, which require disclosure pursuant to the Main Market Listing Requirements of Bursa Malaysia Securities Berhad. Note : None of the above directors have any disclosable offences as required under the Listing Requirements of Bursa Malaysia Securities Berhad. 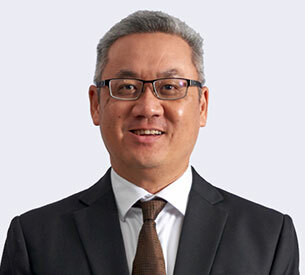 Joined Asia Pacific Breweries Limited (now known as Heineken Asia MTN Pte Ltd) in 1997 and has held various positions in Asia Pacific Breweries Limited Group, the last being Managing Director of Asia Pacific Brewery (Hanoi) Limited in 2014. He does not have any family relationship with any director and/or major shareholder of the Company, nor any personal interest in any business arrangement involving the Company. He has had no conviction for offences within the past five years and has had no public sanction or penalty imposed by the relevant regulatory bodies during the financial year, which require disclosure pursuant to the Main Market Listing Requirements of Bursa Malaysia Securities Berhad. We firmly believe in providing the best of quality and food safety with all our products by always maintaining our consumers’ best interest at heart and strive to remain relevant in an environment that has seen significant changes in consumer demand together with increasing regulation to protect consumer rights. This has allowed us to continue delighting our consumers for 135 years. Maintaining excellence in Food Safety and Quality Management alongside effective communication with all stakeholders remains our top priority and passion. To create values for our customers and consumers with the flexibility of our operating models, in full compliance with statutory and regulatory Food Safety requirements. To build consumer confidence and satisfaction with our products and services in order to develop consumer trust and loyalty. To strive for zero defects through continuous quality improvement in our processes. As a leading manufacturer in Malaysia, F&N is fully committed to producing high-quality and Halal-compliant products for consumers. With an aim to be the market leader in the halal F&B industry, we’ve established a Group Halal Council to embed the Halalan Toyyiban guidelines, extending it to our workplace practices and our engagement with consumers and society. To preserve the quality and integrity of our products, attention is paid to the entire value chain of our operations, from sourcing raw ingredients to the manufacture of products and their distribution. Only high-quality raw materials and ingredients are used. Raw materials/ingredients, as well as our final products, are stored and transported in appropriate containers at the right temperature. Employees in the production line are trained in food management and hygiene. The most appropriate packaging is used for safety and convenience. A strict cold chain management system ensures proper handling throughout the distribution process. We audit our suppliers via a Supplier Performance Tracking initiative to ensure compliance with food safety regulations and standards. Customised product and packaging offerings to serve your specific need. Bring out the best flavour in your recipe. If you need more information from us, feel free to get in touch at any time. Over the years, the F&N brand has garnered many accolades and awards that have recognised the strengths of its brand and its achievements in the marketplace. 100PLUS is one of the top brands in the "Beverage – Non Alcoholic" category of the 2017 Putra Brand Awards.